Wanting the perfect second home and vacation rental to help pay for it? 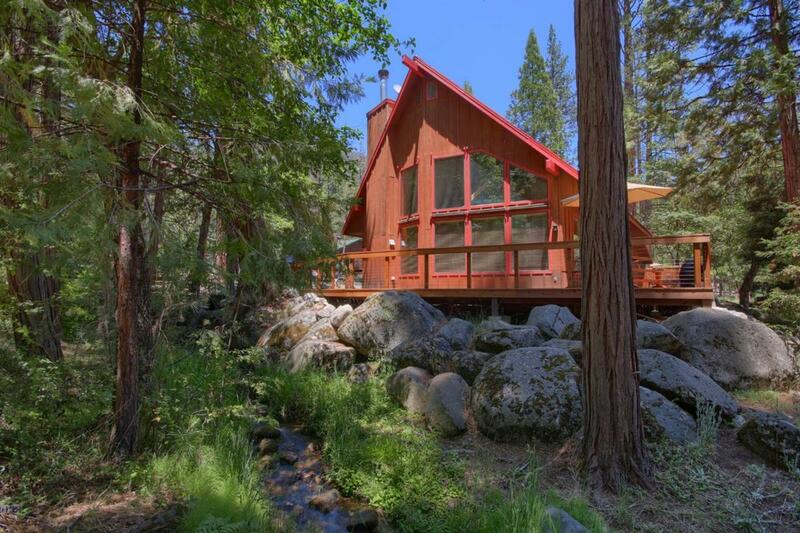 This cozy cabin in Wawona is nestled along Dead Horse Creek. Sit on the deck and enjoy your babbling creek as you enjoy the trees and serenity of Wawona in Yosemite National Park. Completely furnished home with tonque and groove vaulted ceiling with large glass windows up one side with slate fire place and entries. Comfortable window seat to enjoy the view of the forest outside your window. Dramatic spiral staircase leads you to your large loft/bedroom with bonus room and bedroom and full bath with walk in shower. Your master awaits you off the downstairs living area with access to your Master bath with large walk in shower and wood flooring. Nice spacious kitchen with breakfast bar & plenty of cabinet space. Access from 3 doors to your deck. Carport and large shed for extra storage. Enjoy the stars at night from your Jacuzzi tub. So much to offer at this cabin in the woods.Oh & did I mention generator goes with?